The third Round of Words in 80 days starts tomorrow, July 4th. 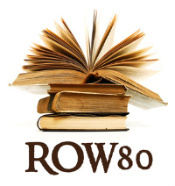 For those who aren't familiar with ROW80, it is a writing challenge which allows you to see your own goals and if need be, due to life and other circumstances, change them as needed. There is a dedicated blog where everyone checks in Wednesday and Sunday. The beauty about is everyone supports each other and encourages those who need it and cheer on successes. I'm a sponsor this time as well so it will be fun. I've meet some fantastic writers and discovered some great books as well as made some great friends and received some excellent advice. Check out all the participants here, give then some love and encouragements. My goal is to finish the first draft of Red Thief, a suspense thriller with a bit of romance thrown in. I've backtracked a bit, after talking it over with hubby and he reminded me of my original intention. Some scenes will be edited out, others rewritten, but it'll wait until I finish the draft. Once decided not to reveal one of the bad guys was a good guy, it all started flowing again. Realized I was taking my main character's power away from her and putting her in a weak spot. She didn't like that too much and has been fighting me every step of the way. We're copacetic now. I plan on writing at least a half hour every morning at least 2 pages per day. My other goal is to do morning pages every day. I committed to July with reporting in on twitter using hashtag #morningpages to keep me accountable. I somehow got out of the habit in June and it really affected everything else as well. I'll also be researching some online writing courses to take as well. The more I learn about the craft the better. Something that will take me out of my comfort zone and make me think, expand that creative part of my brain a bit. June was an interesting month. I finished my bachelor's degree in Liberal science and decided to share my thoughts on what I learned about George Bernard Shaw. Surprisingly, not a nice guy. I read all the Ghostwalker series by Christine Feehan and the Midnight Breed Series by Lara Adrian. Hot paranormal suspense romances. *whew* July, I have a couple of book tours coming up including "Before I Go To Sleep" by S.J. Watson. Just finished reading it and man, what a thrill ride. Intense, psychological thriller and if you haven't read it yet, you should. I'll be giving away a copy of the book with my review on July 13th. I also just reviewed Janelology by Karen Harrington who blogs at Scobberlotch. Excellent book and well worth reading. Wasn't at all what I expected which is actually a good thing. 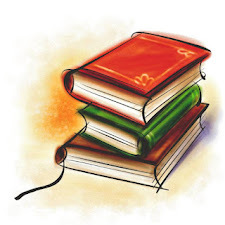 I also plan on reading for the A to Z by Author challenge: Anno Dracula by Kim Newman, Camille by Tess Oliver and Dr. Zhivago by Boris Pasternak. That's about as far as I've planned. Speaking of Dr. Zhivago, I highlight the book and the author on read 52 Books in 52 weeks this week. Homeschool wise, we are winding down 5th grade and will be done in a couple weeks. Thank god. I'm ready for a break and James is too. Already starting to plan for 6th grade and review curriculum. That's always fun and interesting. Tomorrow I'll be posting an answer to the meme - Writing is Like: I was tagged by Susan at West of Mars. See you then. I need to get back on track with getting up early and getting some stuff done! I have 4 reviews to write but just haven't felt inspired..mostly I want to laze around and read!! So Glad that you and James get to take a break!! Looking forward to reading about 6th grade curriculum!! Enjoy your break and those wonderful early and inspiring mornings!! Good luck on all of your writing this month.Round of Words in 80 Days sounds like a great idea. You have accomplished so much lately I'm glad you get a few moments on the patio to relax. 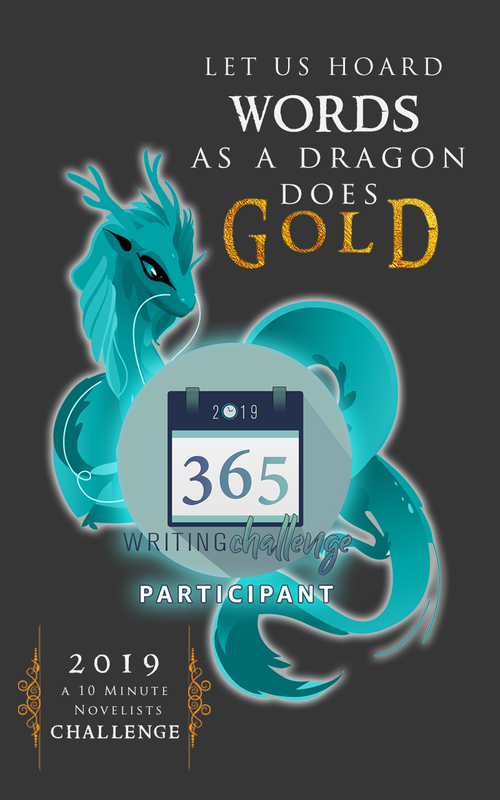 Great writing goals coming up. I hope that the writing goes well today and that things turn out just as you want them. Good luck! Good luck with Round 3, and glad you're back on track with your main character. I'm doing morning pages this round too! Phew! You have a full schedule but I'm sure you can handle it! I'm glad you mentioned Morning Pages. I was introduced to Morning Pages early this year and tried to work at it, however, at the time I was working crazy hours and it didn't last long. I recently moved and I'm still unpacking but adding Morning Pages to this Round seems like an excellent idea...now if I could just remember where I packed it! @staci - yep, the summer lazies always kick in about now. Rather read than do anything else. @Vasilly - you should jump in, the water's fine. @Beth - Nature is always rejuvenating. @Lauren - so glad you're also doing morning pages. @frBrown - Thanks for dropping in. I received your tag on the writing meme and I do intend on doing it. Just give me a few days, okay? I love your new header, by the way! Good luck with your goals, Robin! I'm sure you'll do well. @Michelle -I'm tempted by the One Minute writer. Tempted. @Laura - Thanks for dropping by.